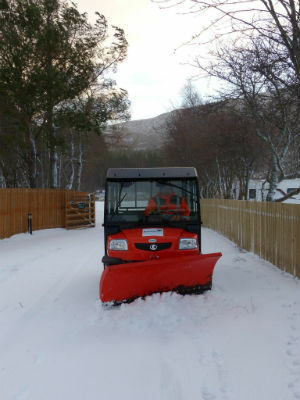 Braemar Caravan Park is such a beautiful place to visit throughout the Winter months and We're fully equipped and ready for the winter. 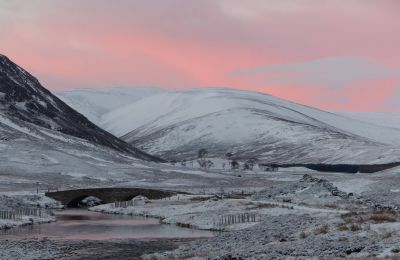 Winter can be such a special time in Braemar, whether you're interested in Snow sports, photography, winter walking, wildlife, or just want a nice break away from the hustle and bustle, why not plan you're winter break now. Braemar Caravan Park and Camping Pods are open for Christmas and New Year, and it is such a wonderful experience to enjoy the festive period in your Caravan, Motorhome or in one of the Camping Pods. Many of the questions we get asked about when visiting us in the Winter, are about access to the Caravan Park and around the facilities on the Caravan Park if the weather turns, so here's a bit of information to help you plan your trip. On the Caravan Park, we have a snowplough, snow blower and gritter to clear the snow and help you get around the Caravan Park in the snowy conditions, but do be prepared that pavements and roadways can be slippery and some ice grippers on your shoes and a walking pole can help you stay upright. Our toilets and showers are fully heated, and we have a drying room, boot drying room, and ski lockers to help store you wet gear when you’ve been out in the cold. We also have an information room with a sofa and book swap if you want to come and put your feet up and read a good book. Temperatures can drop impressively overnight, so preparing your unit for the colder weather is worth doing. Most Caravans and Motorhomes have a pretty good heating system and it can be more cosy and easier to heat than a house, so check your heating system before you travel. Make sure you have enough Gas, and the correct type of Gas. When you're visiting in the winter months it is advisable to use Propane Cylinders rather than Butane Cylinders. Butane stops working below about 4 degrees, so to ensure you keep warm and can cook your dinner, look in to converting your unit to run on Propane instead of Butane. Water can freeze quite rapidly, so it is a good idea to have some kind of insulation for your aquaroll/ external water containers to ensure you can still get water in to your unit. We have both outdoor and indoor water points on the caravan park, so sometimes if outdoor taps freeze, you'd need to use the indoor ones. If you're staying in one of our Camping pods, they are well insulated, have carpets and curtains and a heater, so are very cosy throughout the colder months. Getting here: Many people arriving from the south will access Braemar Caravan Park from the A93 via Glenshee. There are snow gates at the Spittal of Glenshee and outside Braemar Caravan Park which have webcams with a live feed so if you are worried if the snow has affected the road, check on the webcams and traffic Scotland current incidents. If the road does become impassable, you can still access Braemar Caravan Park by travelling up the A90 towards Aberdeen and then the A93 towards Braemar. It is a slightly longer route but is less prone to being affected by the weather. If you're coming from Inverness, the A939 also has snow gates and so if the gates close because of the snow, it's a good idea to travel from Inverness along the A96 to Huntly, and then south along the A97 to Dinnet, before joining the A93 to Braemar. Always check the forecast, TrafficScotland and The Braemar Snowgate Webcam and the Perth and Kinross Council Webcams. If you're after a bit of advice on routes, we're always happy to help. It is a good idea to prepare your vehicle for winter conditions too, even if there is no snow on the ground when you set off. Winter tyres are invaluable and will help give you traction when the roads become slippery. Have a snow shovel, ice scraper, warm clothes, a hot drink and some food to hand in case you do get delayed or diverted. There may be some days when Mother nature decides that you have to have a rest day. When the snow is thick, the ice is too slippery or the wind may be too strong, but it's a lovely time of year non-the-less and it is part of the winter experience. There are cafes in the village which make an ideal Snow Day indulgence day treat. When it's wild outside, there's always a warm and cosy atmosphere, good coffee and cake and a bowl of fresh soup. Finally, relax and enjoy. 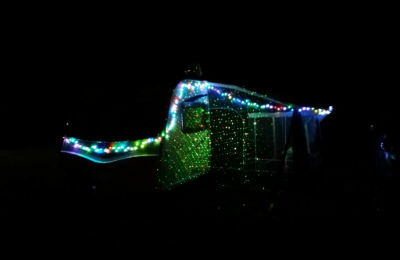 Winter is a magical time to enjoy a break in your caravan or motorhome. Whether you enjoy walk, photography, watching wildlife or doing winter sports, there’s no better place to spent the winter time. 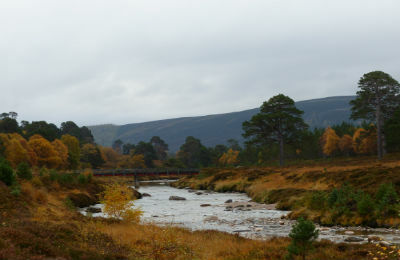 Autumn is one of the most spectacular times of the year to visit Braemar. During the late summer/early Autumn, the hills are transformed as the Heather blooms in to flower, decorating the landscape with a carpet of purple, then as the leaves begin to change colour, a pallet of reds, golds and bronze transforms the landscape. It’s at this time of year that the Red Deer Rut takes place, one of the most spectacular natural events to be witnessed in Scotland. 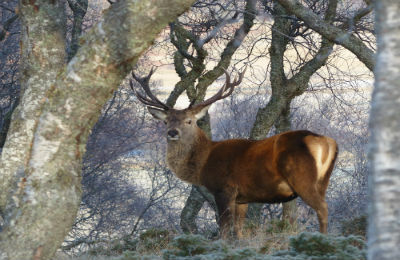 Braemar is one of the best places to watch Red Deer, and in October the Stags put on a display to show their dominance in order to mate with their harem of hinds, and they will stop at nothing to defend them. The roar echoes across Braemar. The stags less dominant stags without a harem try to move in on the dominant stags territories, first by displays of parallel walking, roaring and often it results in a fierce battle where the stags charge head first at each other, locking antlers to try and over power their opponent and drive them away from their harem. In some cases the battle can result in injury or even death, but more often than not it results in the defeated stag running off, leaving the conqueror to mate with the hinds in his Harem. Migrating Geese are an amazing sight in the Autumn months, huge flocks of Geese pass over on their way North to colder climates for the winter. The flocks, often thousands in numbers, often stop in a field for a night to feed ready for the next leg of their journey. Hundreds of Species of Fungi emerge in an eray of shapes and colours, Red Squirrels are busy gathering and storing food to see them through the winter months, and Thrushes swamp the Rowan trees to gorge on the berries. Autumn really is a magical time to visit Braemar and the Cairngorms, and we look forward to welcoming you. Braemar Caravan Park of Invercauld Estate are excited to tell you about our fantastic new Camping ‘Fog’ Pods. 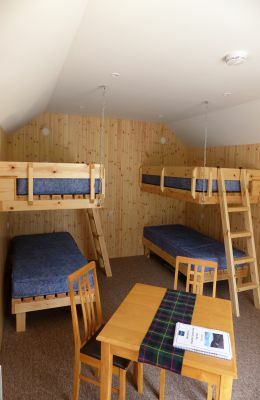 The Camping ‘Fog’ pods are designed and built by Invercauld Estate and they are unique to Braemar Caravan Park, Indeed the pillars supporting the front of the Fog Pod are from larch trees grown on the Estate so they are truly ‘home made’! Braemar Caravan Park Camping ‘Fog’ Pods are designed to ensure you’re comfortable whatever time of year you are visiting. They are warm and cosy, sleep 4 on comfortable mattresses, have a table and chairs, microwave, kettle and fridge. Our Camping ‘Fog’ pods have been inspired by the traditional Fog houses which can be found on Invercauld Estate. The original ‘Fog houses’ are small buildings, beautifully crafted in timber with a heather and moss roof. There are a number of theories about the origins of the name Fog house.-Some say ‘Fog’ is anglicised from the word ‘Feugh’, which is a traditional Deeside thatched longhouse. Others suggest that ‘Fog’ derives from the Scots word for Moss, which was used for making the walls and roof. Another story is that because many fog houses are close to water sources, the spray from nearby waterfalls appears like a fog. Yet another theory is that gentleman used the fog houses as a place to smoke in and the smoke appeared through the moss roof. Whatever the true origins of the term, you may see a traditional ‘Fog house’ while you are staying with us at Invercauld - the nearest one is located in the grounds of Braemar Castle. They’re a lovely place to sit and relax whilst you’re enjoying the beautiful landscape of Invercauld Estate, which is just like our new Camping Pods. We look forward to welcoming you to experience our fantastic new Fog Pods and we hope you love them as much as we do. Braemar is in the heart of the Cairngorms National Park, and is one of the most spectacular places to visit, and to get to, in Scotland. There are amazing walks to enjoy, wildlife to see, castles, distilleries and Highland games to experience, yummy food to eat and a special place to enjoy peace and tranquility; It is also one of the most beautiful areas to enjoy a scenic drive. Scotland is known for some amazing scenic road routes, the North coast 500 and Glencoe are the stalwarts, but the new route to explore is called the Snow roads. Though it's called the Snow roads, it's a fantastic route to enjoy all year round. 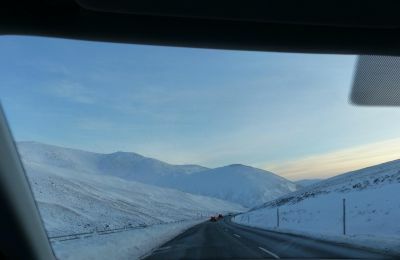 The Snow Roads Scenic Route is a 90 mile journey from Blairgowrie to Grantown-on-Spey, following the highest A road in Britain and travelling through the outstanding landscapes of the eastern Cairngorms. 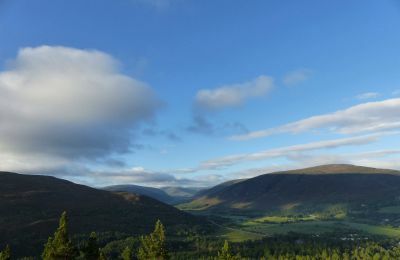 The road links Braemar, Ballater and Tomintoul with a range of natural and cultural attractions to enjoy on the way, and there's a fantastic leaflet with details of the route to help you on your way. There are three stunning snow road art installations to visit which are fantastic reasons to stop and explore this wild and beautiful landscape. A Cairngorms photo-post is also located at each installation to allow you to capture changes in the landscape. 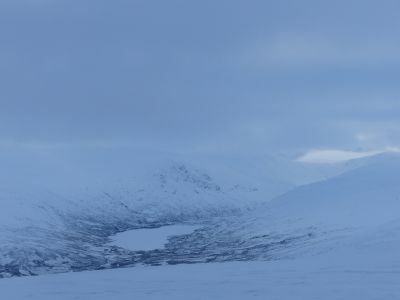 The Snow Roads route follows roads which show be enjoyed slowly. Take your time to enjoy the views, villages and attractions along the route. Steep hills, ‘blind’ summits and tight bends on the roads mean you’ll need to drive with care and courtesy. On narrow sections please use the passing places to allow others to continue on their way. Warning this route traverses the highest roads in Britain – it’s called the Snow Roads for good reason. Please check the weather forecast and follow any travel warnings. There is an 18 tonne weight restriction on Gairnsheil Bridge, and it’s not suitable for long vehicles. Why not link your journey on the Snow roads and link to other tourist routes such as Royal Deeside, the Whisky Trail or the North Coast 500. Braemar is a fantastic village, just a short walk from Braemar Caravan Park. We may be a small village but there are plenty of places to get ingredients for a picnic, to sit and enjoy coffee and cake, a bite to eat for lunch or a nice evening meal. Here at Braemar Caravan Park, we have the fantastic Highlanders Bakehouse deliver fresh bread straight to our door, a fantastic variety of artisan bread in lots of scrumptious flavours, as well as Eggs and Croissants. We have a shop on site selling tinned soup and beans, chocolate, crisps, ice cream and drinks. We also stock BBQs, disposable and reusable. Braemar Village has a butchers, Neil Menzies, which makes homemade pies, and sells cooked meats and locally made cheeses from Cambus o’May cheese factory near Ballater. Braemar has a Coop supermarket for all your essentials. There are numerous cafes to choose from if you fancy popping out for coffee and cake, or a bite to eat for lunch. 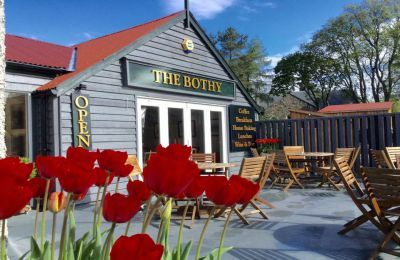 The Bothy, a fantastic cafe open daily for Breakfast and lunch, or a relaxing afternoon coffee and cake. There is always has a wonderful warm welcome and lots of yummy food and drink to choose from. ‘Taste’, not only a fair trade cafe with delicious offerings, but also a deli so you can take away a treat. 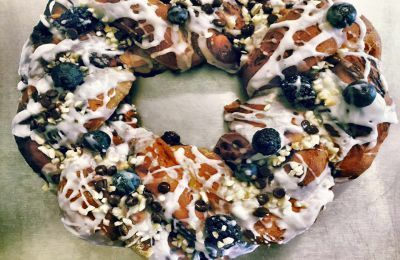 All the bakes are handmade, and coffee is rain forest alliance and the tea is fair trade. Gordons Tearoom, lovely cosy cafe with a wide selection of coffee and cakes, lunches and snacks, and throughout the summer also opens for evening meals. The Moorfield house hotel is a warm and friendly hotel with a bar and restaurant, and the place to eat out if you have a dog with you on your holiday. The hotel offers evening meals, and also a bar with real Ales. The Gathering place Bistro is next to the Bothy and is both a bistro and bar. There are a wide range of yummy meals available in the evenings and serves later than other eateries. The Invercauld arms has a restaurant and also offers bar meals to non-residents. Invercauld Arms now offers delicious afternoon tea menu, and fresh Pizza to eat in or take away. Braemar lodge hotel has a restaurant open to non-residents and has an incredibly popular Sunday Carvery throughout the summer months, a firm favourite with locals and visitors alike. Braemar Golf Club also has a restaurant and is open for evening meals and lunches, to both members and non-members. 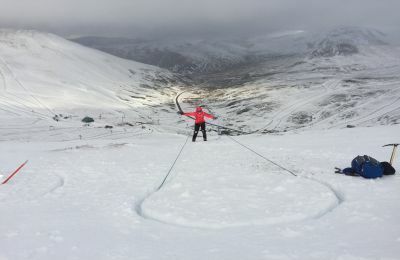 Glenshee Ski Centre has a cafe open all year round, even when the Ski season is over, it's well worth a visit for lunch, or a coffee, and in the summer months. And you can’t forget the Hungry Highlander, a chippy with a reputation or a rather good venison burger. Please check with all the eateries listed above if you are planning a visit as not all of them are open 7 days a week. Pop in to reception or our information room while you’re staying with us and we’ll be happy to show you where all these wonderful places are. Happy Eating everyone. 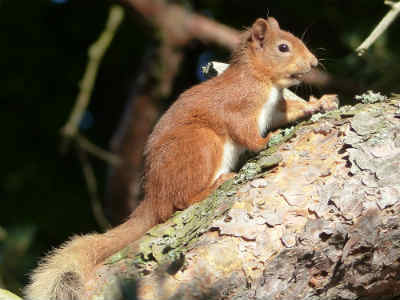 Braemar Caravan Park and the fantastic landscape around us is home to some amazing wildlife species. 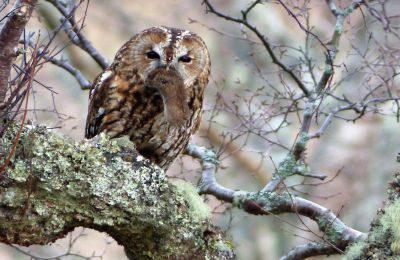 Many of the species you can see here are specialists to the highlands and many won’t be seen anywhere else, making this a fantastic area to come to for bird watching. Here’s just a few species to spot, some can be seen in and around the caravan park and others would need a walk in to the hills with your binoculars. 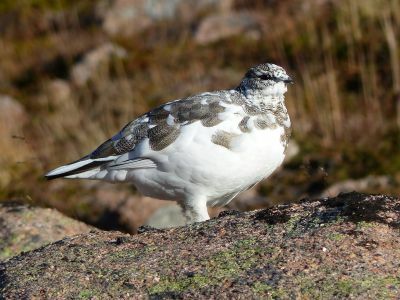 Ptarmigan are perfectly suited to the harsh environment of the high tops of the Cairngorms. In the summer months they are camouflaged with beautiful grey speckled markings, blending in with the rocks, and in the winter they transform in to Bright white so they are camouflaged in the snow. They feed on the shoots and leaves from vegetation in the high mountain tops, so a walk in to the hills is needed to catch a glimpse of this amazing species. 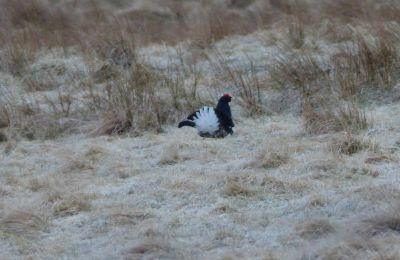 Black Grouse are really quite a rare birds and sight of one these birds is an incredibly special experience. 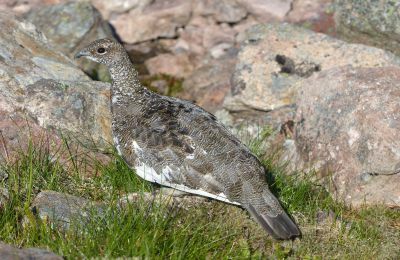 In the Spring the males have a Lek where they display to their females. The Leks are few and far between and to prevent disturbance, one of the best ways to witness this amazing display is in a guided trip to a hide. Snow bunting are fantastic little birds with a tough spirit. Climb to the top of Ben Macdui and you may well be greeted with the tweeting of a Snow Bunting at the top. 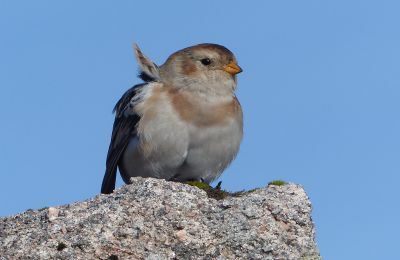 In most parts of Britain if you ‘re lucky enough to see a snow bunting, it’ll just be throughout the Winter months but here in the Cairngorms they are resident all year round. 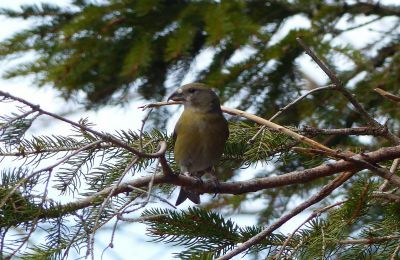 Crossbills are pretty tricky to spot but can often be seen flitting in the high tops of the Scots pines, eating the seeds from the cones. They have a beak which crosses over at the front which enables them to use it like a pair of scissors to prize open the cone to get to the seed inside. The males are a striking pinky peach colour and the females are a dark green. If there’s been rain they can often be seen drinking from puddles. The Dipper is a very apt name for this little bird, full of character and a joy to watch. They can be seen on the River Clunie behind the caravan park, and on the odd occasion feeding in the burn in Braemar Caravan Park itself. They can be seen bobbing up and down on the rocks before dipping in the river to catch invertebrates. From a distance you may mistake the Ring Ouzel for a Blackbird, but although related, they are distinctly different. Ring Ouzels arrive in the highlands in the Spring to breed in the rocky crags, crevices and gullies. They spend the summer here before setting off for warmer climates in September. The males are black with a distinctive white ring on their chest, and the females are brown with a duller colour ring. The Ring Ouzel is quite a rare species and a sighting of these fantastic birds is a real treat. As well as the species described above, there are so many other bird species to see here in Braemar. We have a bird and squirrel feeding area at the caravan park which are always busy with hungry birds and squirrels, Snipe can be heard drumming as the sun is setting along with the hooting Tawny owls, woodpeckers are drumming, Buzzards calling and Meadow pipits displaying, Curlews, Lapwings and many more species all call this area home. 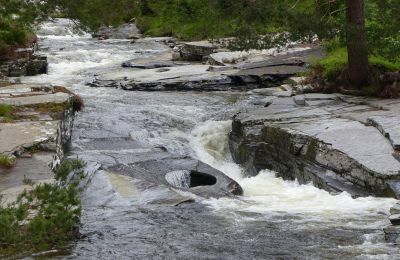 The Linn of Dee is where the river Dee narrows from a vast river to a natural narrow rocky gorge and the water gushes through it into a waterfall. It’s a spectacular place to visit and just a short walk from the car park. Linn of Dee is 6 miles from Braemar. A few miles further along the road from the Linn of Dee is the Linn of Quoich, where Quoich water narrows to a natural rocky gorge, creating another impressive waterfall. At the Linn of Quoich you’ll also find the Devils punchbowl, a spectacular natural rock formation that is the site for some significant events in Scottish history. The Colonels bed is in Glen Ey, and is where the river runs through a vertically sided rocky gorge. It’s a bit of a walk to get there from the car park in Inverey, and care must be taken as the track to get there narrows to a rough can be slippery, but it’s worth a visit and the walk through Glen Ey is spectacular. Braemar Castle is an unmistakable landmark on the edge of Braemar, overlooking the river Dee. It was built in 1628 and has a fascinating history, from the Jacobite rising, housing the British army, and Mrs.Frances Farquharson decorating the castle is shades of pink. The castle is now run by the community and is open from April until the end of October. Kindrochit castle is a ruined castle in the centre of Braemar. Kindrochit castle dates back to the 14th century, and was a hunting seat of King Robert II. It is well worth an explore of the ruins whilst you’re visiting Braemar. From Easter throughout the summer, Braemar local history group lead a guided walk every Tuesday at 8pm and Wednesday at 3pm, which gives a fascinating insight into the history of Braemar. Balmoral Castle has been the Scottish home of the Royal family since 1852, the Castle, the grounds, and the estate as a whole is well worth a visit. 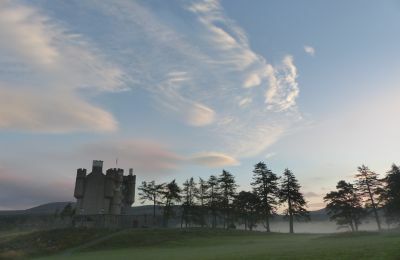 The castle is now open until the end of July when the Queen arrives for her Summer break. 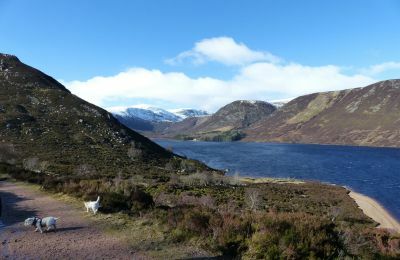 Balmoral estate is open to walk on all year round, with Loch Muick being a favourite spot. Balmoral is just a 9 mile drive from Braemar. For more information about things to see and do and Braemar, visit BraemarScotland, and I will continue with part 2 of things to do in Braemar soon. 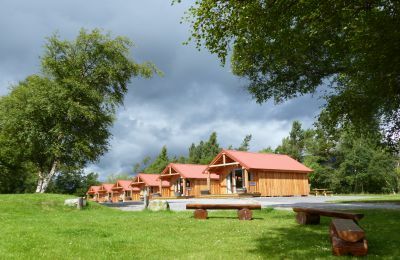 Braemar Caravan Park is a fantastic location to base yourself in the Cairngorms if you enjoy walking, hiking, skiing, climbing, cycling, wildlife watching, or simply if you like to get away from it all for some peace and quiet and relaxation. A short break somehow never seems long enough to get out and explore all of the amazing sights the area has to offer. Every year we have a limited number of pitches available for use as seasonal pitches, where you can bring your Caravan or Motorhome and leave it here on your pitch, ready to go, and visit as and when you would like to. It’s a really easy and convenient way to enjoy caravanning and Motorhoming without having to tow your caravan, or drive your motorhome, every time you want to go away. There is also an NCC approved mobile caravan servicing and repair company who can visit your caravan while you’re here to carry out your service. Winter is a wonderful time to have a seasonal pitch, at a time when roads can be icy and snowy, it means you can simply jump in your car and arrive to your caravan or Motorhome without the need for hitching up, towing and setting up. You can simply arrive, fill up your water, plug in your electric and you’re ready to relax. Our winter season starts in early December and last for 100 nights until mid March. Summer Seasonal pitches start in Mid march until the end of October. We are fully booked for summer season 2017, but are now taking bookings for the Winter season 2017/18. If you’re interested in a Seasonal pitch at Braemar Caravan Park, get in touch and we’ll be happy to give you more information. The Mountains are calling you to Braemar Mountain Festival. Braemar is in such a stunning location, nestled within the Cairngorms National Park surrounded by Mountains, a Mountain lovers paradise, so it would be a shame not to celebrate such a place, so celebrate it we shall. The first Braemar Mountain Festival will take place between 3rd March- and 5th March 2017. 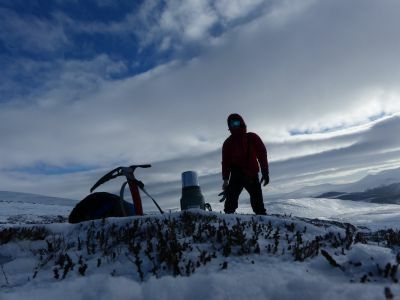 It is a celebration of the mountains in winter and includes workshops on ski touring and telemarking, winter skills and avalanche awareness, low level walking and fell running. In addition there will be photography and art exhibitions and workshops, and in the evening, talks, films, music and food. Come to Braemar to join in the fun. More information about the Mountain Festival can be found here. Braemar Caravan Park is pleased to announce a discount of 20% to guests coming to Braemar for the Mountain Festival. At time of booking, you will need to quote ‘MOUNTAIN2017’. Please note; No further discounts will be applied, and the discount applies to new bookings only, between the 3rd and 5th March 2017. 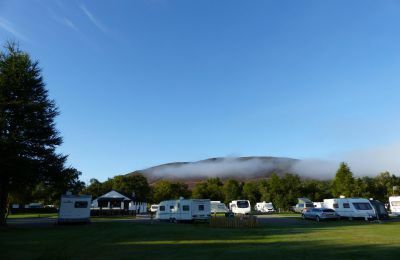 Braemar Caravan Park is in such a stunning location, a beautiful, small village in the heart of the Cairngorms National Park. Braemar has some shops, cafes and restaurants, but if you forget some bits and bobs for your camping and caravan holiday that isn’t available in the village, it’s a pretty long drive to find somewhere which stocks what you need. We often get asked for a variety of items on a regular basis, so we made a list and decided to get the builders in. 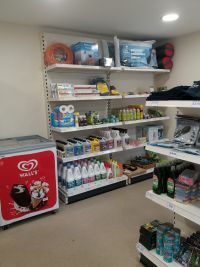 We have now extended our reception to include a shop, which is much more spacious and welcoming, and we now stock a wide variety of items for your camping and caravan holiday. Everything from electric cables, Thetford toilet and cleaning chemicals, Fenwicks Caravan and motorhome products, Fiamma levelling plates, tent pegs, sleeping bags, Sewing kits, Low wattage kettles and hairdryers and more. We stock a variety of outdoor equipment such as survival bags, walking poles, torches, sit mats, boot bags and gaiters and OS maps. As well as stocking camping and caravanning accessories, we have cold drinks, hot drinks, snacks, Ice creams, and as one of the most common requests is for fresh bread in the mornings, so we have teamed up with Highlanders Bakehouse, a local Artisan baker, who can deliver fresh bread each morning in a variety of different flavours, and very tasty it is indeed. 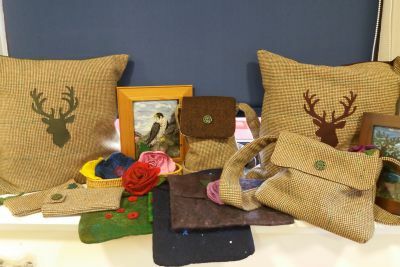 And for when you are looking for a special gift, we have a variety of cards, gifts and crafts, unique to Braemar Caravan Park and Invercauld Estate. We hope you enjoy our new Reception and shop and we look forward to seeing you all soon.